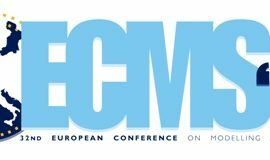 It is our great pleasure to announce that the members of our Action Agnieszka Jakobik, Daniel Grzonka, Joanna Kolodziej and Horacio Gonzalez-Velez have been awarded for the best conference paper at the 30th Jubilee Edition of European Conference on Modelling and Simulation, held in Regensburg (Germany) on 31 May-3June, 2016 (http://www.scs-europe.net/conf/ecms2016/). 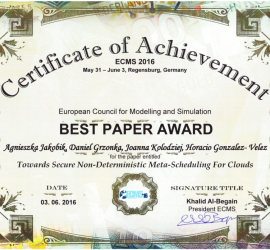 The paper is the result of the STSMs of Agnieszka and Daniel in Dublin, under the supervision of Joanna and Horacio. Congratulations!!! 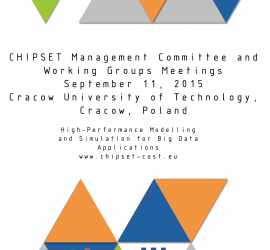 This is the homepage of the COST Action IC1406 High-Performance Modelling and Simulation for Big Data Applications (cHiPSet). The website is partly under construction, but you can find a lot of interesting information. We are busy adding the missing parts which will hopefully not take too much time. If you have any further questions, please do not hesitate to contact with us.